In an attempt to ensure more transparent financing of political parties participating in elections, the government on Tuesday announced the introduction of new electoral bonds that donors can buy from the State Bank of India (SBI). The political parties who get these bonds can in turn encash them only through a designated bank account. The bonds will be available at specified SBI branches for 10 days each in the months of January, April, July and October. The electoral bonds are aimed at rooting out the current system of largely anonymous cash donations made to political parties which lead to the generation of black money in the economy. The bonds, which would be valid for 15 days, will not carry the donor's name even though the purchaser would have to fulfil KYC norms at the bank, Finance Minister Arun Jaitley said in the Lok Sabha while announcing the contours of the scheme. The window will be for 30 days in the year of a general election, he added. Jaitley said the purchaser, whose name will not appear on the bonds, would have to make KYC (know your customer) disclosure to the SBI. A citizen of India or a body incorporated in India will be eligible to purchase the bond, he explained. Jaitley said the electoral bond, which will be a bearer instrument, will not carry the name of the payee and can be bought for any value, in multiples of Rs 1,000, Rs 10,000, Rs 1 lakh, Rs 10 lakh or Rs 1 crore. He had first announced the concept of electoral bonds while presenting the Budget for 2017-18 on February 1, 2017, to make political funding more transparent. "The government has now finalised the scheme for electoral bonds. The scheme will be notified today," the finance minister said. Although called a bond, the banking instrument resembling promissory notes will not carry any interest. Electoral bonds will allow donors to pay political parties using banks as an intermediary. When Congress leader Mallikarjun Kharge asked what purpose the bonds would serve when the name of the donor is not disclosed, Jaitley said bonds would get reflected in the balance sheet of the donors. 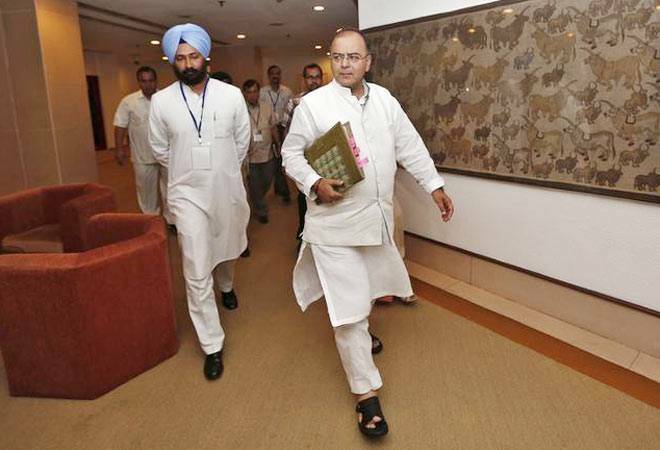 The finance minister explained that electoral bonds, can be given to a registered political party which has secured at least 1 per cent vote in the last Lok Sabha or state assembly elections. That party will have to give one bank account to the Election Commission and it will have to be encashed within 15 days, Jaitley said. The minister said at present, the donor or quantum and source of funds is not known. The donor will know for which party he is depositing money. The political party will file a return with the election commission. Now, which donor gave to which political party, that is the only thing which will not be known, he explained. Electoral bonds will ensure clean money and significant transparency against the current system of unclean money, the finance minister said. On why the name of the donor is being kept secret, he said the past experience has shown that once the names are disclosed, there is a tendency to shift to cash donations. The present system is unclean money and new system is a substantial amount of transparency if not total, he added. This will substantially help a lot of opposition parties because in case a disclosure is made it will always be in favour of the ruling party, he said. People who are expressing apprehension let them suggest a better way, he added. Let me clear misconceptions, if any. I had announced in the Budget speech that political funding needs to be cleaned up. A very large part of donation coming to political parties by the donors, quantum and source is not known.... electoral bonds substantially cleanse the system, he said.